Jessica A. Mejorado is an Associate in Lozano Smith’s Fresno office. She provides legal advice and litigation support to local government clients in a variety of aspects of municipal law. 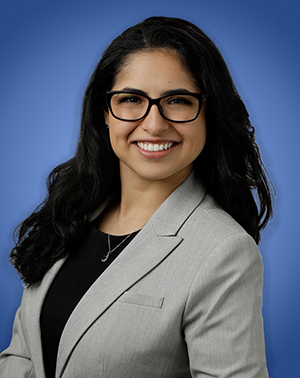 Prior to joining Lozano Smith, Ms. Mejorado served as a law fellow focusing on legal research and writing briefs to accompany petitions for veterans benefits to the United States Department of Veterans Affairs. She also advocated on behalf of veterans to military boards for discharge upgrades. She was instrumental in client interviews and case assessment in health law, intellectual property law, and complex civil litigation in her past roles. She was also an extern for Judge Consuelo Marshall of the U.S. District Court for the Central District of California. Ms. Mejorado earned her Juris Doctor degree from University of California, Los Angeles School of Law. Ms. Mejorado received her Bachelor of Arts in Political Science from the University of Rochester. This podcast addresses the tension between protecting personal information and the obligation to disclose public records. Striking the wrong balance may burden either the local agency, or the individual employee, with significant costs. Hear how best to contend with the money pitfalls of the CPRA.